Good Location,very good staff, very helpful, V clean, quiet room. Nice spacious rooms with big & comfortable double bed, & adequate kitchen area. Spacious lobby, bar area & buffet restaurant. customer service down food at restaurant breakfast and dinner useless. Everything. The kids entertainment was amazing my 1year old dident stop danceing and the comedy show was great. Entertainment staff was so friendly had a fantastic time. The appart hotel was good, the appartements are very good, with cutlery and a great bathroom. It's true that the beds are not the best ones but it's definitely OK and overall a good appartement. The pool is very good, big, and the hotel is very pretty. We did not eat at the hotel however. Pierre & Vacances Estepona This rating is a reflection of how the property compares to the industry standard when it comes to price, facilities and services available. It's based on a self-evaluation by the property. Use this rating to help choose your stay! One of our top picks in Estepona.Featuring an outdoor swimming pool, free WiFi and 24-hour reception, Pierre & Vacances Estepona is 1.2 mi from Saladillo Beach. 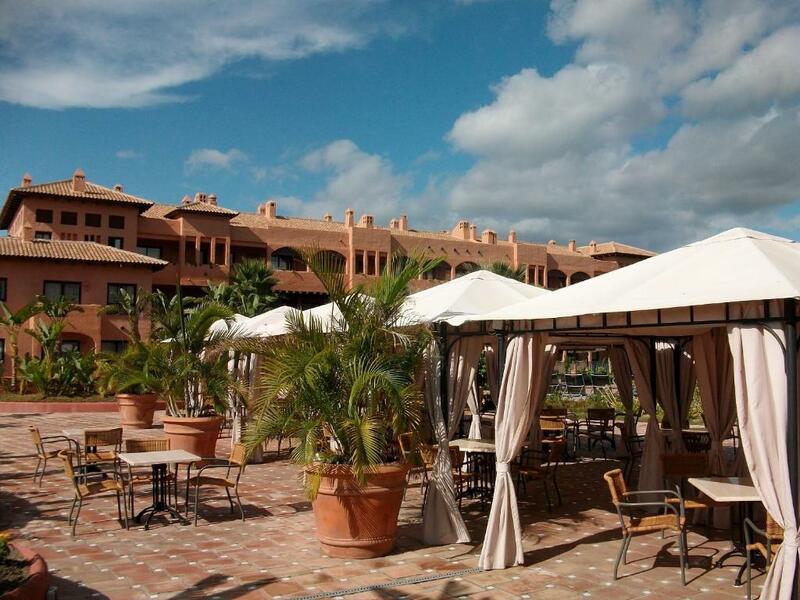 Set next to Los Flamingos Golf Course, it is a 20-minute drive from both Marbella and Estepona. Pierre & Vacances Estepona offers modern accommodations decorated in warm Mediterranean tones. All air-conditioned apartments and studios come with a private balcony and sofa-bed. Kitchens are equipped with a fridge and microwave; a safe is available at an extra cost. During the summer months there is a restaurant and a poolside snack bar. There are also 2 bars within the complex. Pierre & Vacances Estepona offers night and day entertainment throughout the summer. A kid's club arranges sport and water activities. The pretty marina at Puerto Banús is a 15-minute drive from the Vacances Estepona. Málaga and its airport can be reached in less than an hour, by car. When would you like to stay at Pierre & Vacances Estepona? This air-conditioned apartment features a twin bedroom and a lounge-diner with a sofa bed and satellite TV. The kitchenette includes a stove and microwave, and there is a bathroom. This air-conditioned apartment features a twin bedroom and a lounge-diner with a sofa bed and satellite TV. 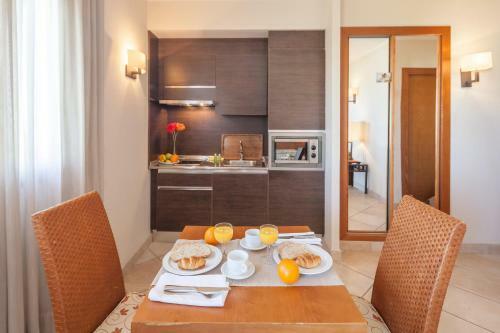 The kitchenette includes a stove and microwave, and there is a bathroom and a private terrace. This air-conditioned studio features a double bed, satellite TV and a private balcony. 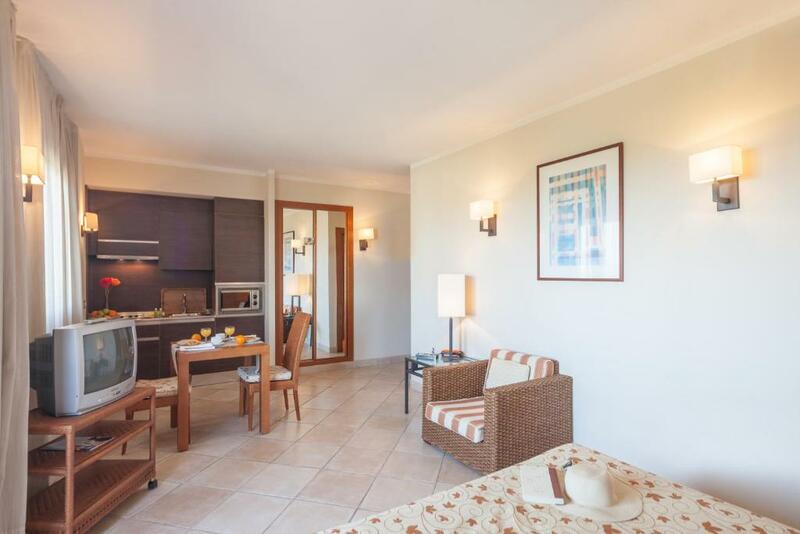 This air-conditioned apartment features 2 double or twin bedrooms and a lounge-diner with a sofa bed and satellite TV. The kitchenette includes a stove and microwave, and there is a bathroom. The apartment also comes with a private terrace. This apartment has a balcony, microwave and seating area. This apartment features a balcony, dining area and air conditioning. This air-conditioned apartment has a twin bedroom, a seating area with a TV. It features a private terrace and a fully equipped kitchen with a hob and a microwave. 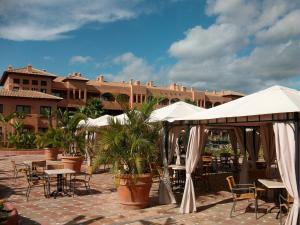 Its location between Marbella and Estepona, makes it be placed so well for the visitors, with many points of interest. The Charm of the apartments as the calmly area, makes you feel like in house with your family. You can enjoy with the magnificent swimming pool, animation staff, and also the pool bar. Or you can go down to the beach and to enjoy an agreeable walk. 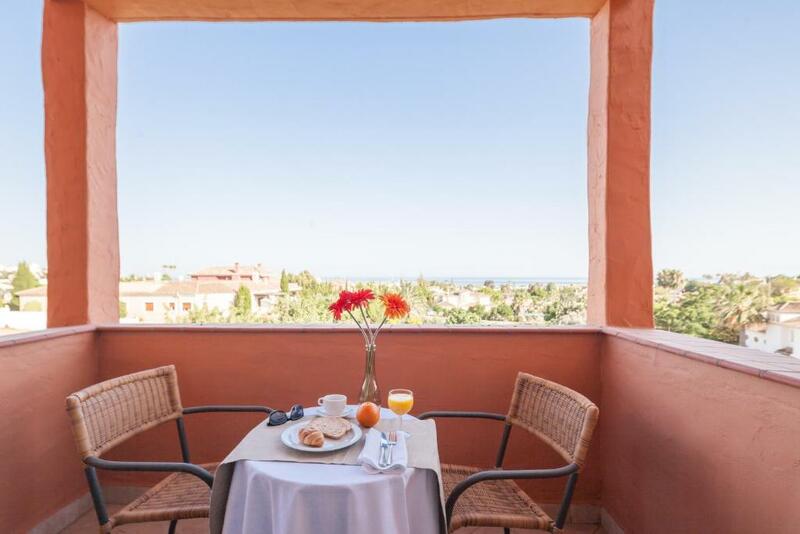 Its location allows you to move into Marbella or Estepona, where it will be able to visit its historical centers, sports ports (Port Banús) and to enjoy its gastronomy and its famous beaches, chiringuitos(beach restaurants). Also it will be able to visit areas of interest as Malaga, Gibraltar, Ronda, or to do an excursion to Granada, Seville, Cordova or Africa. House Rules Pierre & Vacances Estepona takes special requests – add in the next step! Pierre &amp; Vacances Estepona accepts these cards and reserves the right to temporarily hold an amount prior to arrival. Pierre & Vacances Estepona accepts these cards and reserves the right to temporarily hold an amount prior to arrival. Please note that children up to 4 years have free meal plans (breakfast, lunch, dinner). A baby kit suitable for children under 2 years old weighing less than 15 kg, is available on request. The kit includes a cot with 1 bed sheet and a high chair for infants aged from 6 months old. There is an extra charge for this service. Please note that towels and bed linen are changed every 5 days. The kitchen should be cleaned by guests before departure. When booking half-board, please note that drinks are not included. Please inform Pierre & Vacances Estepona of your expected arrival time in advance. You can use the Special Requests box when booking, or contact the property directly using the contact details in your confirmation. I expected an Apt/Hotel to have a flat screen tv but the tv’s in every room are very old - maybe 1980’s - and I could not watch any of my favourite programs. Worst WiFi in the world booked to work from there had to leave the morning after and they didn't even wanted to refund my 3 days booking. Having to wait for 10 minutes at reception with a 10 second query when there are staff members chatting in the office by the reception. Nothing I can be critic about. I didn't get the wifi to work, but not bothered and used my phone as a hot spot. Very nice staff, nice environment, enjoyable overall and very reasonable prices. What we didn’t like it’s more of a personal thing Bed covers and towel changed every 4 days,not the end of the world.. I really don't like the wifi in the hotel is very slow reminds me of the internet before 20 years ago and I couldn't watch Netflix movie without a lot of pauses on the film. The hotel staff did not support us at all because they did not agree to modify the booking date. It was a basic breakfast just eggs, jam, and some bakeries. Also, the apartment air conditioner does not cool as required, especially at noon time. I liked only the swimming pool at the hotel. The Pool Bar was very understaffed and understocked! !